Here are some new digital papers/textures I created and wanted to share with you. This set would look beautiful in your Christmas designs but can also be used all year round. 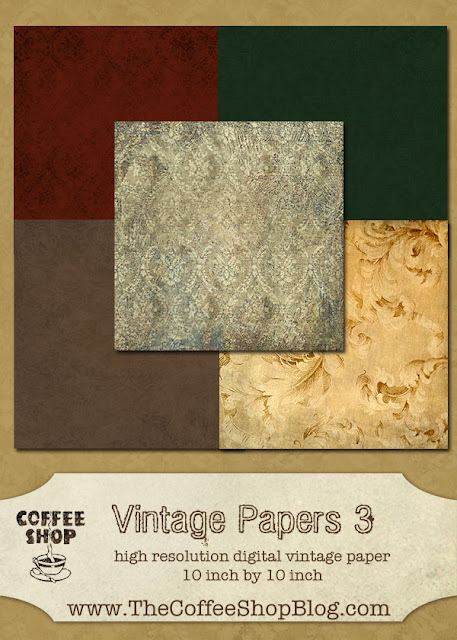 Download the CoffeeShop Vintage Papers 3 set. You can also download it here. Thanks, Rita! The Gold Flourishy one is something I've been looking all over for! I am such a sucker for background papers.These are lovely. Thank you.